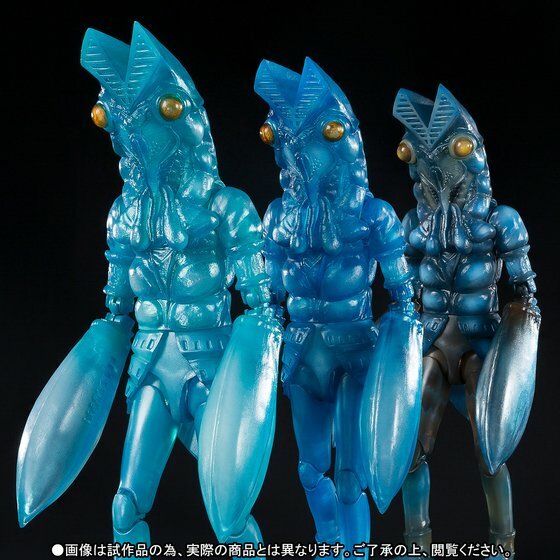 Premium Bandai announced a new S.H.Figuarts three pack release of the Ultraman series Alien Baltan Clone Set. 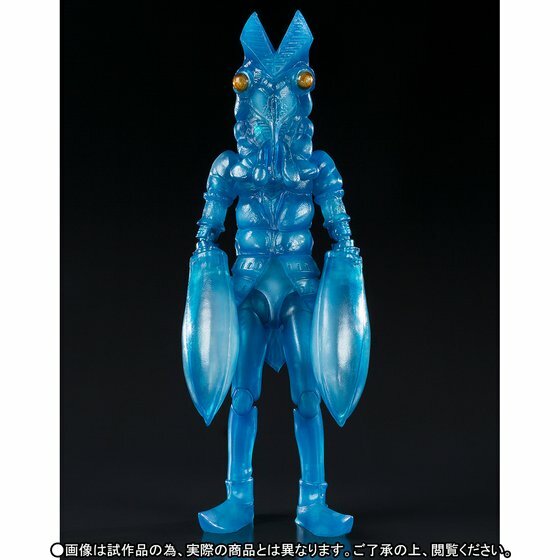 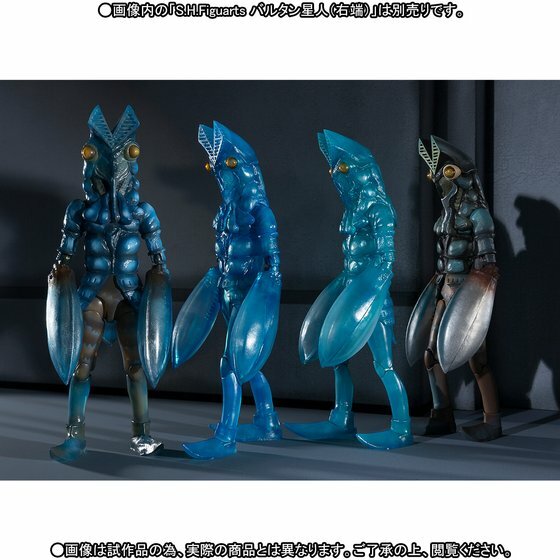 The set itself features three different colored versions of the previously released Alien Baltan mold, each in varying degrees of blue transparency, representing clone versions of the popular alien. 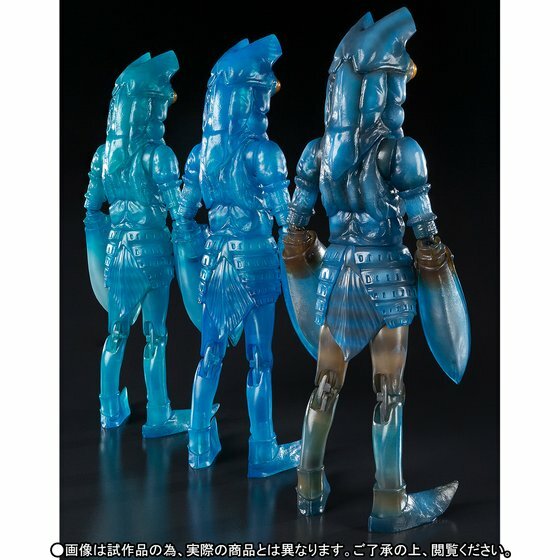 The set unfortunately includes no additional accessories or stands. 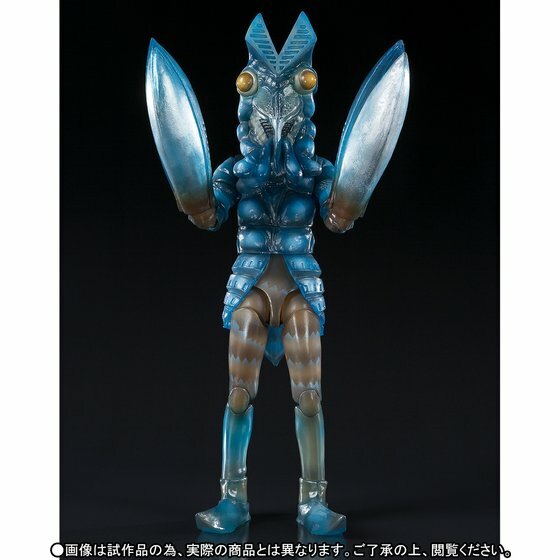 Preorders for the Alien Baltan Clone Set are currently live and will conclude at an unannounced date. 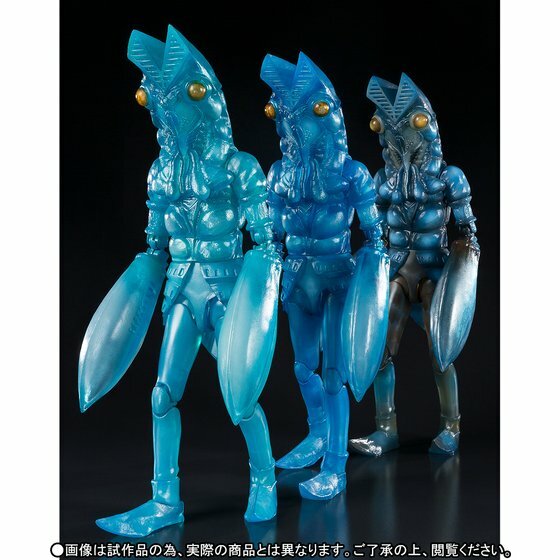 The Alien Baltan Clone Set will retail for ¥17,820 before fees and shipping and will begin shipping in April, 2017.